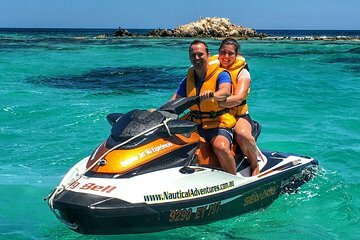 Explore the waters off the coast of Perth on a Jet Ski tour from Hillarys Boat Harbour. With a guide, you'll cruise out to sea to look for Indian Ocean marine life. Minimum age to drive a jet ski is 18 years, photo ID is required at time of check in (drivers licence or passport). Tour course may be altered without notice depending on water conditions at the time of the tour. Duration of the tour is noted as a maximum time depending on water conditions at the time of the tour.